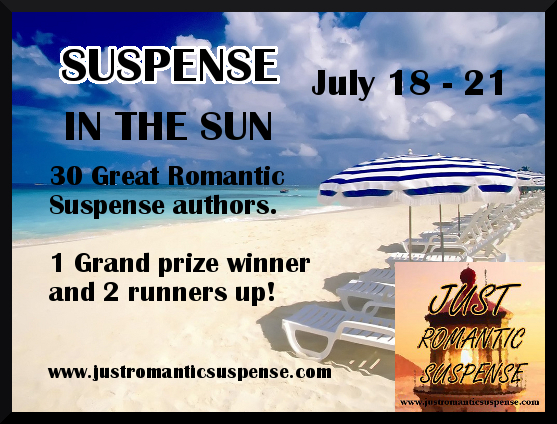 Just Romantic Suspense: SUSPENSE IN THE SUN - Summer Giveaway! 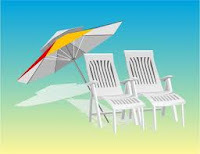 SUSPENSE IN THE SUN - Summer Giveaway! Congratulations to our Grand Prize winner, "Angela I. ", and our two runner's up, "Shelly P" and "Kris K". Thank you to all who participated! This sultry summer, 30 Romantic Suspense authors have pitched in with their digital books to make 3 lucky winners' summer season an extra special one! On July 22nd, one grand prize winner will be able to select 10 titles of their choice from the list. To enter, simply stop by with a comment or email about summer plans, summer dreams, or great summer reads! Giveaway ends 11:59pm EST July 21st. Please supply your email in the post. You may use spaces or full text for security. (ex. 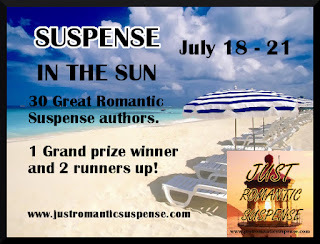 jsmith at gmail dot com) If you do not wish to supply your email, or have trouble posting, please email maureen@justromanticsuspense.com with a subject title of JRS SUSPENSE IN THE SUN GIVEAWAY to be entered. This digital giveaway is for Kindle and Nook formats only. My plans for the summer are rest, reading and relaxation. Now that I'm thesis-free, summer plans involve moving out of my current flat and going on a road trip through Atlantic Canada since I'm technically homeless in August. Then there'll be some couch surfing upon my return until my new lease in September. Good times :). Original post-defence summer plans included a trip to South Africa and surroundings, but the thesis defence timing didn't end up working out. Thank you for the giveaway. My plans are to spend time with my son before he heads to kindergarten. Love this blog. I get to learn about such great authors and books! My summer is going by very quickly! We have had lot of sports camps going on for the kids along with swimming and sleeping in. All for the kids of course since I work full time in an office. BUT, I do enjoy no homework and letting the kids stay up later. Looking for our annual Cubs game in Chicago in August! I am doing a lot of reading and relaxing when I can. Thanks to Maureen and all the authors for this awesome giveaway. Good luck to everyone! Great Giveaway! Good Luck to all. What a fantastic giveaway idea! I'm going to Australia and Hawaii in just about two weeks so I've got some fun ahead of me. It's my first time to both locales. I plan to get some serious reading done on the dreaded plane rides...not a bad way to pass the time. Oops! Forgot my email address. You did it again JustRomanticSuspense! This is a great giveaway with many new authors. My plans: Do not melt. We're in the fifth day of the heat wave and I'm just trying to stay cool. Thanks for the giveaway. Did a little traveling, now time to rest. I appreciate the opportunity to comment! Great giveaway! Fantastic giveaway! Thank you so much for the opportunity to win some of these great books. I will be working all summer but taking several long-weekends to read any lay around. Not a lot of summer plans here, unfortunately. No vacation this year due to a change of job. I still find some time to read each day though. We all need some down time, right? Awesome giveaway! Thanks to all involved for the chance to win some great books. Just came back from a relaxing week at the beach now have to leave for two weeks on business. I'm going somewhere I've never been before so its exciting but I don't think I've ever left my kids for this long. I'm bringing my ereader to keep me company! Thank you all for this wonderful contest! Well, I took vacation the week of July 4th, spent it home with the hubby and the grandkids! Plans for the rest of the summer are staying as close to the a/c as possible. Thanks for the awesome giveaway. WOW!!! awesome giveaway :) I'm getting ready to move and that's pretty much my major summer plans. Thanks again! Summer means heading up to the coast, but since it is Winter here I am basically hibernating. I love spending a week in the White Mountains of NH and reading for pure enjoyment. What a fab idea and such a line of fab reads too! I live where the sun shines all year round, but summer is hot on our little pebble in the ocean, so when I'm not banging away on my laptop writing my next novel, I'm sitting round my pool relaxing and reading. Please enter me into your competition. Thank you. Thanks for a great contest! 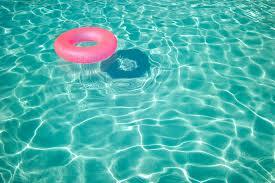 I will be spending the rest of this humid and hot summer by the pool with a cold drink in my hand! I love everything about summer. 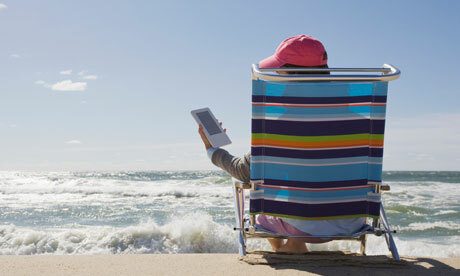 I live on the beach and these books would be good beach reads. Summer started off great. I have already read all The Protector Series by Karen Fenech. i just completed a week of leading 1st graders at our Church Vacation Bible School and will finish with some beach days and reading, reading and reading some more. I would love to be a part of the winning names in this contest to finish off my summer reading. I haven't had any vacation yet but looking forward to having a week off to do just nothing but hang out, enjoy some nice weather and read lots. I still have 2 weeks to go and vacation can't come soon enough! Ive no plans to go away for the summer but at the moment we are having amazing hot weather so plan a lot of time in the park with my kindle! My summer plan is to do some landscaping at my new house. The weeds have basically destroyed my lawn back in March/April of this year. I have been so busy killing the weed and a little tight on budget that I didn't get a chance to stop by Home Depot for my garden supplies. I do plan to also try to put some dent into my TBR List. Thanks for the great giveaway contest.